I have so many knitting books that I have become pretty selective about what I buy. I don't need more knitting pattern books unless they are amazing, even though I am much more likely to knit a pattern out of a book than from a magazine. I already have more than I can knit in a lifetime. Generally I preview books from the library when I can. Because I work in a library, this is easy for me to do. Usually I will copy one or two patterns from the book (this is legal as long as it's for personal use), or not, and let it go. This preface is an attempt to add weight to the recommendation I am about to make. I urge you not to overlook Knitting New Scarves by Lynne Barr. I must own this book. 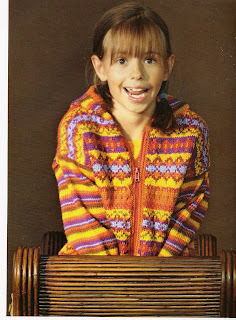 This is even more significant on account of my 2006 scarf knitting overdose, from which I have not recovered. 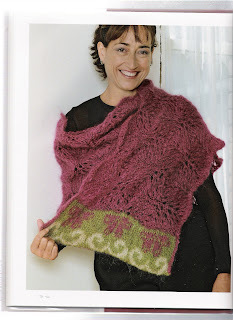 When she designs Lynne Barr asks herself questions like, "What if I added short rows to create sharper edges, or eliminated all the curves to the right to create a scarf that would only spiral leftward...?" 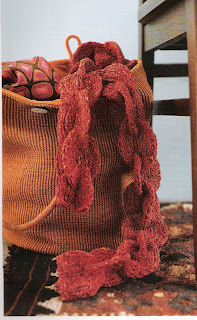 The designs in this book all share a "What if" quality, a playful approach to yarn and needles that is totally inspiring. So even if you don't need or want scarves, or scarf knitting, or even like the designs that much, this book is worthwile as a book of possibilities. 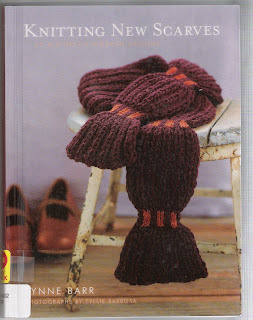 Although this is not exactly a beginner's book, I think most of the designs are doable for most knitters. Lynne appends a clearly written and photographed chapter of the techniques that come up in the book. These include how to add stitches to a work in progress, combining stitches from two needles, separating ribs to make tubes (a new one on me), knitting slits into fabric, short rowing, intarsia, and more. 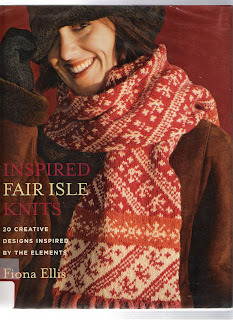 As much as I love Knitting New Scarves (by the way the publisher is soon releasing Knitting New Mittens and Gloves), that is how much I dislike Inspired Fair Isle Knits by Fiona Ellis. Ok, it's not that heinous, but the thing I like best about it is the author's name. Organized by the natural elements of water, air, fire, and earth (and can I say how sick I am of knitting books inspired by 'nature'? 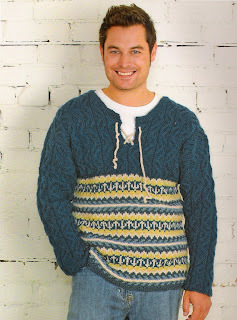 ), Ellis' book uses garish colors to represent the elements and thick yarns to coarsen fair isle knitting. This is fair isle dumbed down. 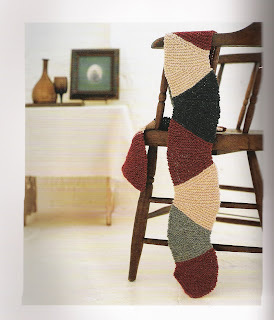 I doubt you can see the hideousness of the knitted grain in these photos, but they show up clearly in the book. Another fault is the lack of background on fair isle knitting and the lack of traditional examples (although examples might cast the current designs in a bad light). Ellis attempts to replace knitting history with folk tales loosely related to the patternings, but they are not very effective. Thanks for the tip. I have added "Knitting New Scarves" to the knitting section of my Amazon wishlist. Of course, there are 22 other books in that section, so it may be a while. I agree with you about "Inspired Fair Isle Knits". I was lucky enough to preview a library copy so as not to waste my money and bookshelf space.